Dust-free bleach designed for highlighting and balayage. 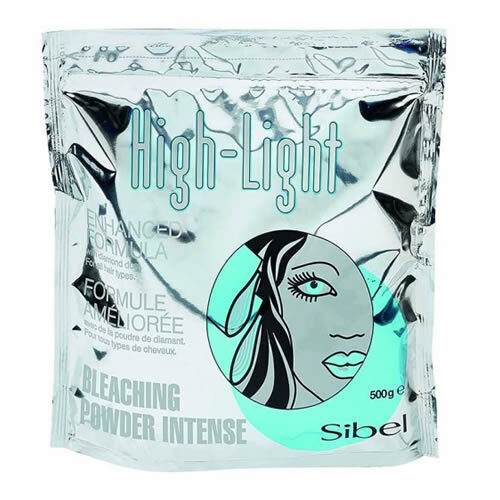 Sibel Sapphire High-Light Blue Bleaching Powder is an intense bleach with an enhanced formula made with diamond dust that's suitable for all hair types. It'll give up to 6 levels of lift and is perfect for all highlighting and balayage techniques. Comes in a 500-g pack. Constant results with all colour brands. Comes in 1 or 4 litres. 5 strengths: 3%, 6%, 9%, 12% or 18% solution (18% only available in 1 litre). Weigh up to 3 kg on these easy-to-use digital scales with a clear LCD display and a battery-preserving auto-off function.